Executive Director of the Yamal-Nenets Autonomous Area’s Union of Reindeer Herders. Deputy Director of the State budgetary organization "Association for Economic Development of the Indigenous Peoples of the North". Chairman of the audit commission of the Gubernatorskaya Sotnya regional public organization. Member of the Basin Council of the Nizhnyaya Ob Basin District. Member of the council for developing small-sized business in the Yamal-Nenets Autonomous Area. Member of the regional public organization of taxpayers, “Modernization and Development of the Yamal-Nenets Autonomous Area.” A founder and member of the working group to develop the concept for promoting and preserving reindeer in the Yamal-Nenets Autonomous Area. Born September 24, 1983, in Arkalyk, Kazakh SSR. Graduated from Tyumen State University with a degree in finance and credit. 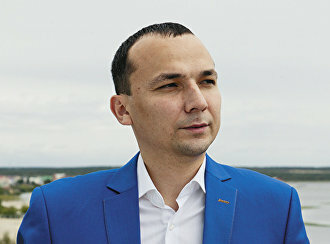 Began his career in 2003 in the finance directorate at the administration of the municipal formation of the Shuryshkarsky District of the Yamal-Nenets Autonomous Area. Awarded the rank of municipal service advisor, 3rd class. Continued his career in the Federal Treasury of the Yamal-Nenets Autonomous Area and the local customs department. Awarded the class rank of state civil service assistant, 3rd class. Since 2008, has worked in the State budgetary organization "Association for Economic Development of Indigenous Peoples of the North." Currently, is Deputy Director. Since 2013, Executive Director of the Yamal-Nenets Autonomous Area’s Union of Reindeer Herders on a voluntary basis.